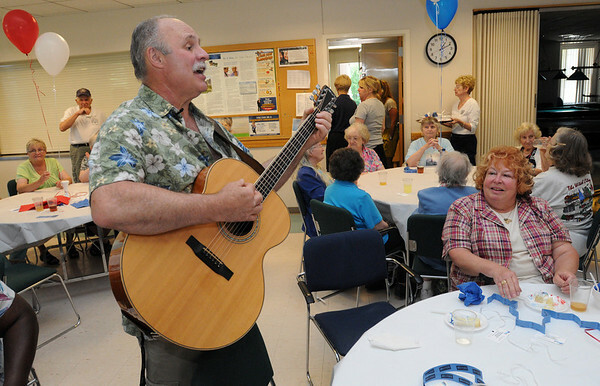 Paul Wayne sings and plays his guitar to entertain the people gathered at the Danvers Senior Center for the Family Festival. Roberta Kodis, right, listens to his music. Photo by Ken Yuszkus/Salem News, Tuesday, June 28, 2011.